Coup de Theatre exhibition set in Meadows Gallery in December 2016 in Summerhall, displayed various artworks made at Edinburgh Sculpture Workshop and Royal College of Art. My favorite one was The Descent From Forbidden Energy States by Chloe Windsor, who captured me by the way she negotiated sculptural qualities with her use of light, giving a dramatic character to everyday objects. 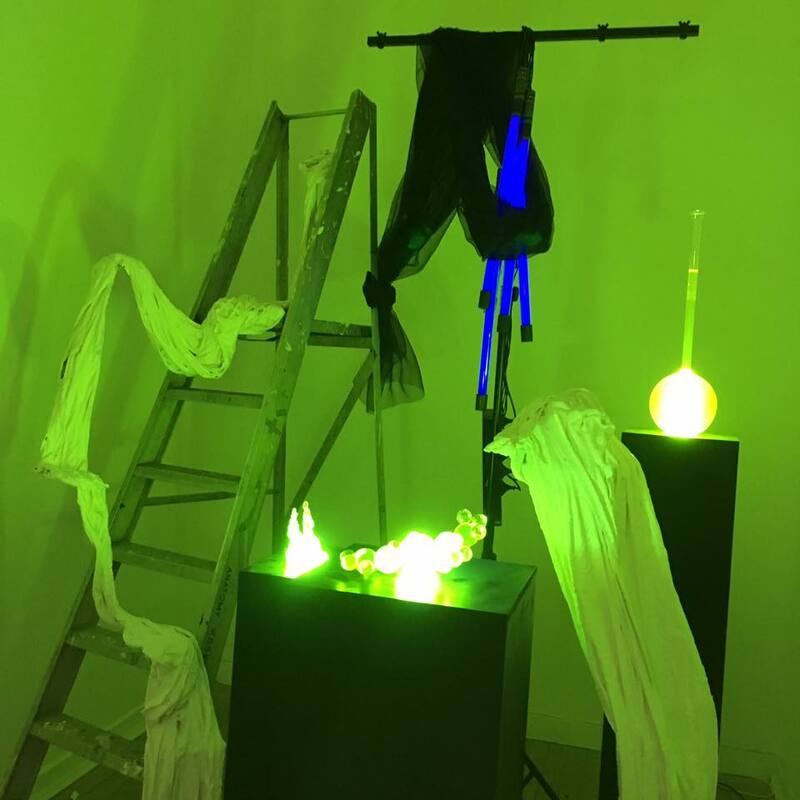 The green UV lights in combination with plaster sculptures looking like they were scrambling up the ladder created an uplifting and eerie atmosphere, almost like being in a temple; a very futuristic artwork resonating ancient majesty.